I think that the day before new year’s day (大晦日) and new year’s day (正月) are the most important days in the year. On 大晦日, I ate osechi (おせち) while watching TV program. Almost all japanese people watch gakitsuka(がきつか) or kouhakuutagassen(紅白歌合戦) Both TV programs are very popular. Many people eat toshikoshi soba(年越しそば) , but I don’t. On shougatsu (正月), the Japanese name for new years day, children are given otoshidama(お年玉). Otoshidama is a gift of money from their parents and grandparents. They really look forward to getting otoshidama because they can use the money to buy video games and toys. I didn’t think I would get otoshidama, because I am a university student now. I was so surprised (and happy) that my grandparents still gave it to me! (It was also a lot of money ). So I bought clothes with it. This is how I spent my 正月 (shougatsu = New Years), I think that most people spent 正月 with their families. When you come to Japan, I recommend that you experience Japanese New Year. The reason why is New Year’s eve and day is most important day for Japanese people in the year. So everyone in the family gets together and eats a feast and watching TV children can get money as Otoshidama. In New year’s eve we eat Soba as Toshikoshisoba and watch special TV program. Toshikoshisoba means the soba noodles eaten on New Year’s Eve because soba noodle is long so we hope long life and soba is easy to bite off so we hope we cut bad luck like soba. Then at midnight we go to shrine to Hatsumoude. Hatsumoude means first visit to shrine. We draw an Omikuji. An Omikuji is fortune slip, so we can tell our fortune of new year. It’s very fun. 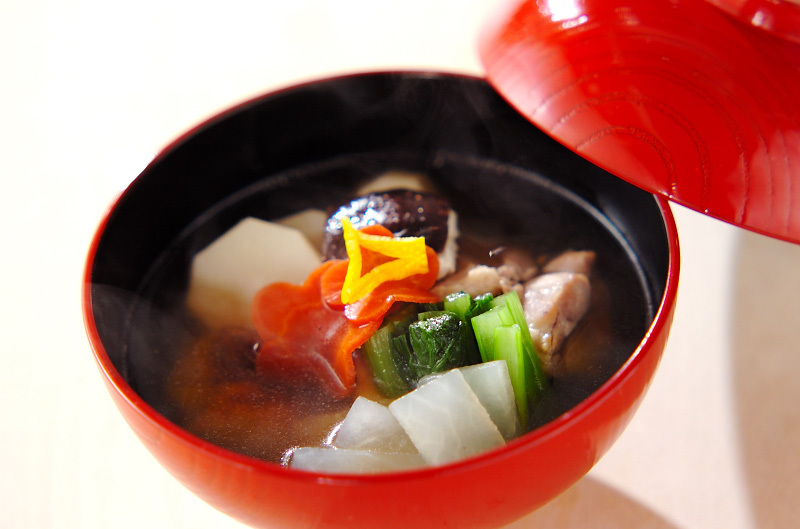 On New Year’s day, we eat Ozoni and Osechi. These are traditional Japanese food and get money from relative and eat a feast and just relax . So we often say Shogatsu-Butori. (shougatsu means new year ; futori = means getting fat). Together, they mean gaining weight for New Years. Japanese New Year is very fun but please be careful about Shogatsu-Butori. On January 1st, it’s a tradition for Japanese to go to Shinto shrines and pray to God so that he will let us have a peaceful year. We also pull out o-mi-kuji. An omikuji is a slip of paper with a fortune on it. The different fortunes in Omikuji are Daikichi, Kichi, Tyukichi, Suekichi, and Kyou. 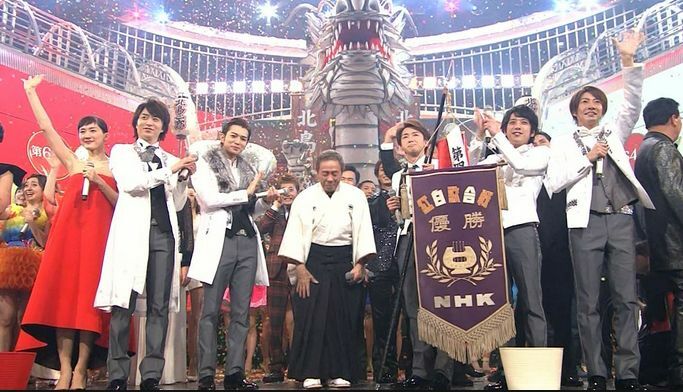 Daikichi means greater good luck, Kitchi means good luck , Tyukichi means moderate good luck, Suekichi means future good luck, and Kyou means bad luck. In addition to the main fortune, each of the slips of paper has divinations about your studies, health, love, and kuck with money. Normally, it costs 200 yen so if you get the chance, give it a try. First, we have school on Christmas day. Christmas is not holiday. So after school, we hold Christmas paty with friends or go to dinner with boyfriend(or girlfriend). Like this, we usually spend Chistmas day with boyfriend (or girlfriend) or friends or alone. Me? Of course, I have part-time job! Second, we usually eat chicken, eat a whole cake, and drink champagne. Cake shop make many kinds of cake. I enjoy choosing a cake every year.So the reason why Christmas is special for me is I can eat rich and delicious food that is special for this day. Third, if we have Christmas party or have a boyfriend(or girlfriend), we exchange present. But if we don’t have these, we don’t need to prepare present. Many people don’t but I give the present to my family every year. So you don’t have to prepare gifts, but if you want to show your thankfulness to people (or to someone special), you can prepare presents. This is how Japanese students celebrate Christmas and why they love it.I think Japanese style is not bad. Please, enjoy a Japanese Christmas with us! I wonder how foreigners spend new year’s day because they would not pray to the rising sun, nor go to Hatsumoude, nor eat sushi or mochi, nor write new year’s cards. one thing I came up with is going to Hatsuuri, which means the new year’s bargain sale. In my case, I get up at 6:30 and go Hatsumoude to a shrine near my house. After I go back to my house, I eat mochi with my family. After that we go to see my grandmother. Finally we go to Hatsuuri and enjoy shopping cheaper than usual. When we go back to home, we can get lots of new year’s cards! I enjoy looking at the cards from my friends or teachers. AEON, supermarkets, and clothing shops are open for Hatsuuri. I don’t know which shops aren’t open on new year’s day. Until last year, I spent my Christmas with my family. In my home, we ate sushi, chicken, and a Christmas cake on before night of Christmas day. And next day, when I woke up, I found a gift from Santa Claus. And, I went to school and did an event of Christmas. We played some physical games, met Santa Claus, and chatted with my friends about gift I gave. This year as a college student, I will go to a year-end party with other student in the educational psychology zemi in night. I have a part time jobs and some classes in next weeks of Christmas days. My hometown is Niigata. So, I can’t go home and do a Christmas party with my family in the year. Now, I am a college students and this year’s Christmas won’t be the same as last Christmas because I don’t live with my family since I’m in Asahikawa and I am relieved that I don’t have a girlfriend. On Christmas day, I won’t go on a date with my girlfriend but I will go to dinner with my friends and we will hold the throwing pies party with high school girl students. Also, the students in my dormitory will do a gift exchange. Sixteen people will participate so I’m very excited. I usually spend the day before Christmas Day with my family. In Japan, the day before Christmas Day is more important than Christmas Day so my family have Christmas party on December 24th every year. I heard that foreign people usually spend Christmas day with their family but Japanese people tend to spend with their boyfriend or girlfriend and some people spend with their friends. My family always eat chicken (but unlike many Japanese people it’s not fried chicken!) and Santa gives us presents which we wanted, and finally eat cake at home. Elementary schools and junior high schools and high schools are closed. My sister and brother’s school is winter vacation from December 24th to middle of January but HUE.A is not still winter vacation. This year, we will eat at the restaurant where I work. I can’t wait!! For many young people in Japan, Christmas day is a day for couples. They spend that day with their girlfriend or boyfriend. Last year, I went dinner with my girlfriend on Christmas and we exchanged gifts. In my family, we have the christmas cake and KFC fried chicken instead of eating Christmas feast. In my home town, the man wearing the costume of Santa distributes chocolates to people saying “Merry Christmas! !” in front of the station. Most of the students at HUEA have part-time jobs. There are even some students who have two or more part-time jobs at once. With the money they earn, students can go on a trip, buy something they want as a reward, or save it for studying abroad. There are lots of options! Moreover, a part time job provides valuable experiences which you cannot go through only in campus life. When should you get a job? If you get a part-time job as soon as you enter the university, you will be able to get used to your new life earlier. In addition, you can invite your friend to join the same group. The Satsuki festival is one of the biggest events in this university. The festive mood of the students will rise to fever pitch. After the mood settle down, some begin to work. Everything will be new for you in the first semester. Considering that you are already getting used to university life first of all, second semester is a good place to start a job. ・How much money you can earn? If you get a job, you have to keep balance between study and work. Be careful not to let your part time job take so much of your time that you neglect your studies! I got a job after the Satsuki festival at Honeys, which is clothing shop in Nishi AEON. However, after I began to work, my grades got worse. In addition, I also had trouble getting along with my manager. Finally I quit that job in October and started two new jobs. One is shooting the videos of plays or dances at kindergartens or concerts held by brass band club. The other is UNIQLO near the university. I quit Honeys but I felt like working at Clothing shop so I chose it. Unlike Honeys, all of my colleagues at UNIQLO are kind and friendly. Now I enjoy both of my part-time jobs.